MACAU, 12 October 2016 – Asia’s insurance industry celebrated its crème de la crème at a gala dinner held in Macau last night honouring a total of 15 winners. The 20th Asia Insurance Industry Awards celebrated the achievements of outstanding industry leaders in various categories. Paying tribute to individuals who have made the most outstanding long-term contribution to the insurance industry in Asia, the prestigious Lifetime Achievement Award was presented to Mr. Toshiaki Egashira, Senior Advisor to the Board of Mitsui Sumitomo Insurance Company, Limited. A bold and inspiring leader, Mr. Egashira was entrusted with leading Mitsui Sumitomo Insurance “MSI” (a core non-life insurance entity of MS&AD) in April 2006. With three decades of credentials in underwriting, marketing and corporate strategy, Mr. Egashira took on one of the biggest challenges in his career – transforming a domestic-centric MSI into a global insurance powerhouse by implementing fundamental reforms that reshaped the Group’s corporate culture. 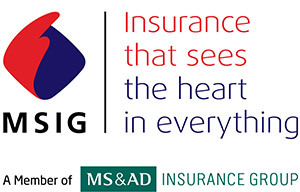 With 395 entries for the awards and a judging panel of 30 international business leaders and regulators from the insurance industry, the annual Asia Insurance Industry Awards are the foremost awards of their kind in the region. It has been hosted since 1997 by Asia Insurance Review, the leading journal and strategic partner in the region’s insurance industry.